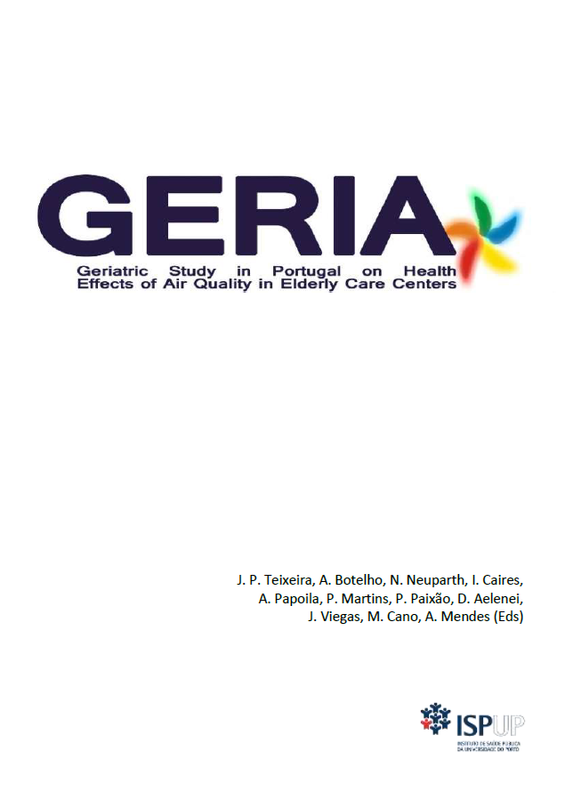 The primary long-term purpose of the GERIA study was to contribute to improve the health of older persons living in elderly care centers (ECC). The GERIA project provides valuable information on the main characteristics of indoor air, its pollutants and buildings that have influence in indoor air quality (IAQ). Taking into account the relationship between IAQ and respiratory vulnerability found in GERIA project, the proposed recommendations are guidelines, on this e-book, intend to lead to health and quality of life improvement of elderly residents in ECC. The GERIA research team are indebted to all of the participants in the GERIA Project as well as to the professionals and older people living in the ECC and the authorities from which they depend. This work was supported by GERIA Project PTDC/SAU-SAP/116563/2010 and SFRH/BD/72399/2010 grant, through Operational Competitiveness Program (COMPETE) as part of the National Strategic Reference Framework, by the Portuguese Foundation for Science and Technology (FCT).